leaves between the sheets of waxed paper. down and arrange the leaves, grasses, and flowers as desired. thing you iron…believe me, I know! refrigerator, frame them, or even use them as placemats. Photo of finished project: www.crafty-moms.com/fall-leaf-collage.shtml Rachel Paxton is a freelance writer and mom who is the author of What’s for Dinner?, an e-cookbook containing more than 250 quick easy dinner ideas. For more recipes, organizing tips, home decorating, crafts, holiday hints, and more, visit Creative Homemaking at www.creativehomemaking.com. Online Success Made Easy - Learn in a Fun Way with Nicole Dean. Solopreneurs Click here - with Kelly McCausey. Easy PLR - Learn how private label rights articles can benefit your website. Business Coaches Click here - Learn the secret resource your competition is using to grow their businesses - so you can too. Are There Health Benefits To Probiotics? LadyPens.com was created in 2005 to show off amazing women who are sharing their passions online. Look around and prepare to be inspired, learn something, and possibly laugh (or cry) a bit, too. Please share the posts that you love so others can enjoy them, too. Ready for Bold Breakthroughs at the Beach? 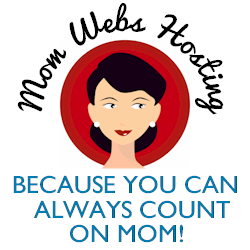 Looking for a Web Host that you Can Trust?